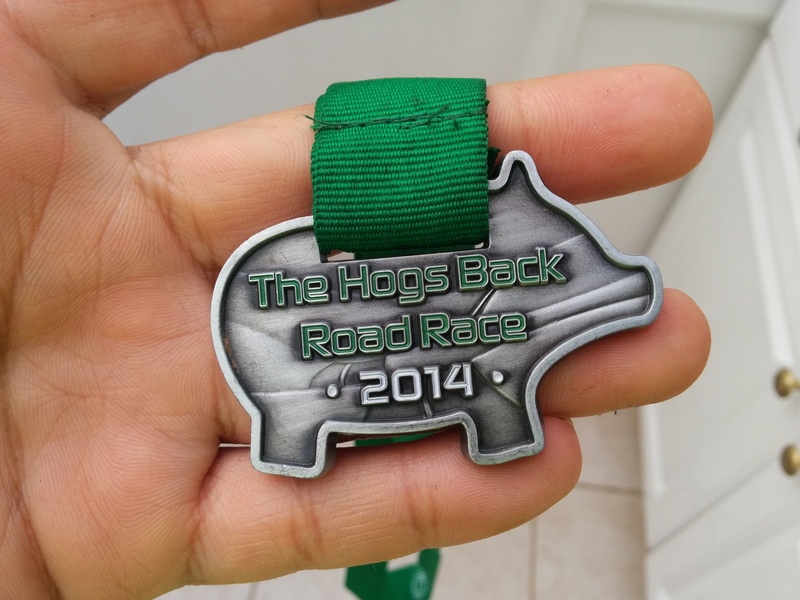 The Route – Notice the Hog? 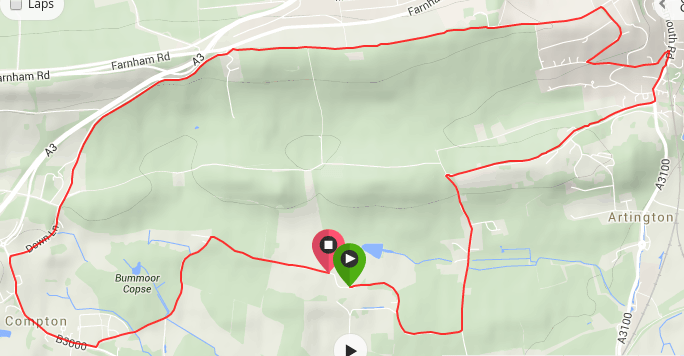 The ridge / hill we live on is called Hog’s Back, and there’s an annual running race organised by Guildford & Godalming Athletic Club based around it – The Hog’s Back Road Race. 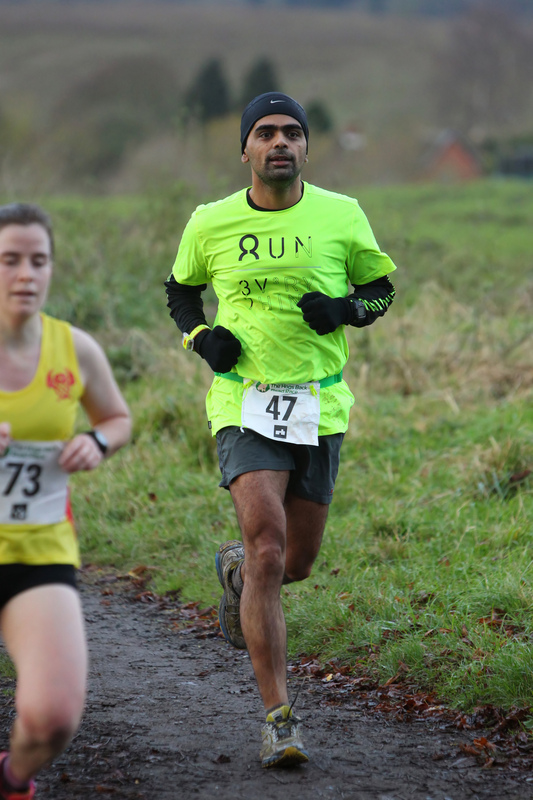 The race seems to be a big thing amongst local running clubs. 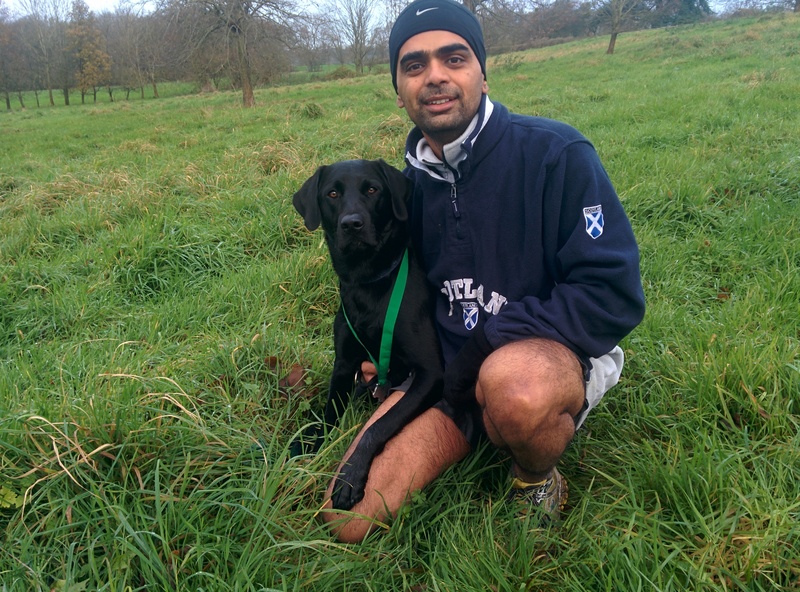 I missed it last year – discovered it late, and by then I was already signed up to run my first trail run, the Mud Man, on the same weekend. So, I’d been looking forward to it this year. I’ve been in good shape – general fitness and running form wise – recently, so was confident about the run, despite the painful climb up the Mount. There had been a niggle in the old bugger – the right hamstring – but taking a couple of days off all training helped with it. The only handicap was I got barely 3 hours of sleep the previous night. Bad, but nothing that a strong coffee couldn’t cure. Coffee drunk, standard pre-race meal of toast and Eat Natural bar consumed, lots of wrangling to get the race number on the new running belt done, it was time to run. There’s a tiny bump in the final incline. It hurt! Ran my fastest 11.7Km, just to get my hands on this Hog! Met Chewie and her caretaker, hugged Chewie, kissed the caretaker. Received medal, gave it to Chewie for safekeeping. Got a banana, shared it with Chewie. Drank water. Lots of water. And headed back home after a quick photo op with Chewie, sans the caretaker. The caretaker, also known as my partner Rags, took off for her weekend run soon after we reached home*, while I stretched and went for the ritual ice-cold shower. I’d considered going for a short, 20-mile ride after the run, but lethargy took over, and warm bed won out. Sorry bike!